On June 26, 2018, the level of East & West Lake Okoboji rose above 6.05 feet on the USGS Gauging Station. 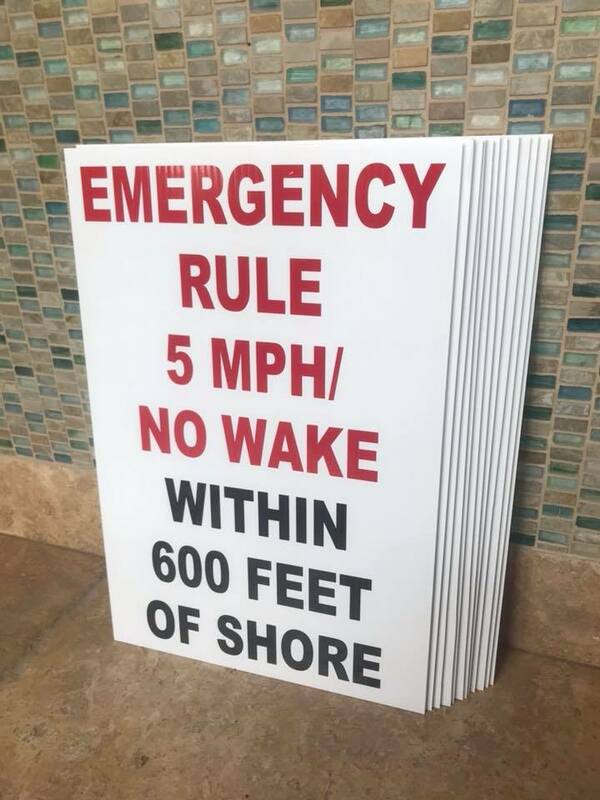 Per the Dickinson County Emergency Management Commission’s No-Wake Policy, the 300-foot no-wake (5 mph) zone (established by Iowa law) is hereby extended to 600-feet from shore on East & West Lake Okoboji, Upper and Lower Gar, and Minnewashta Lake. The rule also applies to Silver Lake and Center Lake. At this time, lake levels on Big Spirit are just below the threshold set by the Commission and therefore the emergency 600-foot rule does not yet apply there. Emergency Management will continue to monitor the levels on Big Spirit and if the lake does surpass the level of 15.65’ on the gage, it will be implemented. Other lakes in the county will be monitored to determine additional steps.